Success in ecommerce depends on the ability to serve shoppers across a wide array of devices, browsers, networks, and geographies with blazingly fast performance. To ensure success, merchants need to scrutinize their customer experience and optimize all interactions through their web store. Traditional methods of site optimization, be it re-coding, manual optimization or content delivery networks, are no longer flexible and powerful enough. Merchants need a scalable, affordable solution that enables them to cater to a variety of shopper profiles in order to drive SEM, shopping cart conversion, and shopper lifetime value. Site Optimizer is a new advanced managed service that optimizes web site performance across every browser, device, network, and location. The solution identifies the performance profile of your shoppers and then automatically applies application sequencing, front-end optimization and caching techniques to ensure that they see the best version of your web store optimized just for their profile. This makes transactions more personalized, compelling and engaging, and results in increased page views and time on site, while lowering bounce rate and decreasing abandonment across mobile and desktop. Best of all, Site Optimizer requires no codes changes or additional infrastructure. This fully managed, cloud-based service can be deployed and configured in a matter of hours with no disruption to your web store. With the release of new search algorithms like Google Panda, search ranking is increasingly dependent on the speed of your web store. 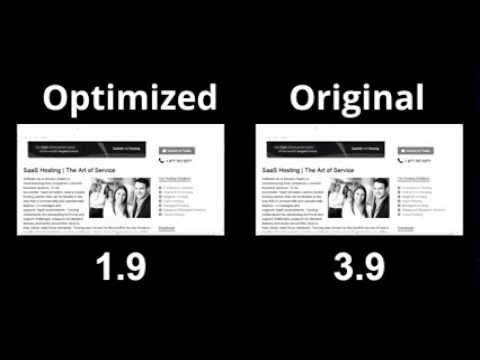 Tenzing Site Optimizer dramatically improves site performance, typically improving page speeds by 40% to 80%. This results in high page rank and ultimately more visitors reaching your site at lower cost. Poor site performance is a leading contributor of shopping cart abandonment. Most shoppers say they will leave a web store after waiting only 2 seconds for a page to load, and 57% of shoppers say they will not return after experiencing poor performance. Tenzing Site Optimizer can increase the performance of your web store by as much as 80%, dramatically reducing shopping cart abandonment and increasing lifetime customer value. Tenzing Site Optimizer is a fully managed, cloud-based service that is easy to deploy. The solution requires no code changes to your web store or additional infrastructure, and can typically be deployed in a matter of hours with no disruption to your commerce operations. In addition, our team continually monitors and optimizes the platform to ensure that you continue to deliver a remarkable shopping experience anywhere and anyway that your shoppers choose to do business with you. By applying custom application sequencing, based on visitor characteristics, Tenzing Site Optimizer focuses attention, creates a sense of involvement and keeps visitors engaged. A more engaged visitor improves interaction across devices, resulting in increased pageviews, time on site, and conversion. Front-end optimization (FEO) is a key contributor to conversion success and site scalability and is integrated into Tenzing Site Optimizer. The solution automatically applies traditional FEO principles to increase page speed and responsiveness. By applying these techniques as part of the holistic optimization solution, you can control which measures are applied based on visitor context, and thus optimize every engagement. Tenzing Site Optimizer delivers content caching and edge delivery from a global network of cloud-based delivery endpoints, ensuring scalability on demand. In addition, the solution can easily integrate with any existing CDN and will apply application sequencing and front-end optimization to all content. Robust testing and 24/7 monitoring and alerting capabilities gives you complete visibility into your mobile and web performance. In addition, built-in reporting provides actionable insight from traditional IT metrics like load, render and interact times to strategic measures like conversion, retention, and engagement. Side-by-side comparison of page speed on Tenzing.com before-and-after Site Optimizer. With caching, CDN distribution, and performance tweaks, Site Optimizer helps ensure your site delivers as fast as possible to any device.